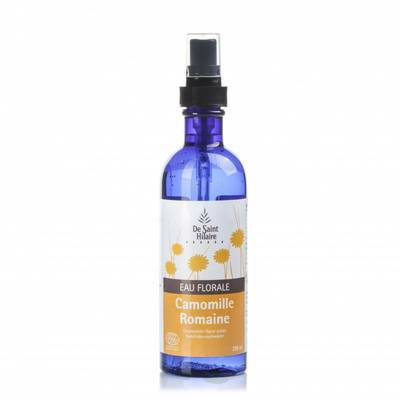 Organic Roman Chamomile flower water, soothing, moisturizing and recommended for dry skin. Produced by distillating Chamomile flowers grown in Auvergne: 1kg of fresh flowers is necessary to produce 1L of "De Saint Hilaire" Chamomile flower water. This flower water is soothing, moisturizing and particularly recommended for dry skin. This flower water is known to be relaxing in case of stress.